What Type of Hip Replacement Implant Is Best? 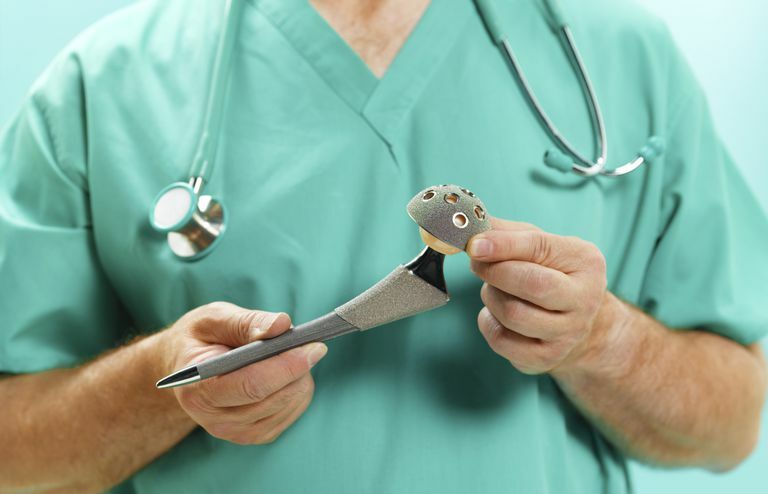 There are many orthopedic manufacturing companies that produce different implants used in hip replacement surgery. Most of these companies make several different hip replacement prostheses. Is there a way to determine which hip replacement implant is best? When a hip replacement surgery is performed, a damaged worn-out hip joint is replaced with an artificial implant. The materials used in the artificial implant may vary, but they often include metal, plastic, or ceramic. The hip joint is a ball and socket joint, and removal of the hip joint requires her surgeon to remove the ball, and reshape the socket. The artificial implant is then positioned in the bone. The implant may be held in the bone by tightly wedging it in place or it may be cemented into position. The type of fixation used will depend on the patient's bone health and the design of the implant. Asking orthopedic surgeons what hip replacement is best is like going to a car show and asking people which car is best. You'll find lots of different answers, and each person thinks they've got the right one. That is not to say that any one individual is right or wrong, but there are many factors, and sometimes different factors, that surgeons may consider when evaluating which type of implant they prefer to use. One of the most important aspects of hip replacement surgery is determining the proper implant to be used in the operation. However, people disagree on what criteria are most important to selecting the best hip replacement implant. Do you use the implant with the newest design, or the implant with the longest track record? Does a surgeon use many different implants depending on each patient, or become most comfortable with using one type for every patient? Should a surgeon use implants suggested or asked for by their patients? Orthopedic supply companies have begun to advertise directly to consumers.sometimes sees advertisements are seen in magazines, newspapers, late-night television, or brochures in your doctor's office. The advertisements might make you believe that one implant has been shown to be better than others. This has been seen recently with ads for ceramic hip replacements. The truth is that no one knows what the "best" implant is. The ideal hip replacement implant will allow for normal activities, normal motion, and last the patient's lifetime. The only way to know if these goals will be met is to use the implant in people doing normal activities, and follow their results for decades. Therefore, implants designed recently do not have long-term track records that prove their longevity. Another factor that is important for patients to understand is that the brand of hip replacement is likely not the most important factor in determining how long and the implant is going to last. One of the most important aspects of ensuring an artificial joint will last as long as possible is ensuring that the surgery was done in a precise, and accurate way. Having a properly aligned joint replacement is critical to the long-term functioning of that implant. A good analogy is to think of the tires on your car. It does not matter what brand of tires you put on the car, if the wheels or not properly aligned, they are not going to last. Finding a surgeon who has good experience with joint replacement surgery, and has a good track record of results is important. It can be difficult to find a surgeon with the right level of experience, but there are questions you can ask, and people whose opinions you can query to help find the right surgeon. If you have questions about a specific implant, ask your doctor about the hip replacement prosthesis. Ask your surgeon to compare it to the implant he or she usually uses. If you want more information about an implant, you can read more from at company websites. In addition, it is reasonable to vascular surgeon if they receive any financial compensation from an implant company. There is a potential conflict of interest when surgeons or using implants from companies that they receive financial compensation from. In these situations, your surgeon should disclose that potential conflict of interest, but it is reasonable to ask the question. Hip Implants American Academy of Orthopaedic Surgeons: Your Orthopaedic Connection. October 2007. Which Knee Replacement Implant Is Considered The Best? Do Hip Replacements Wear Out Over Time? Is Anterior Hip Replacement Surgery Better?